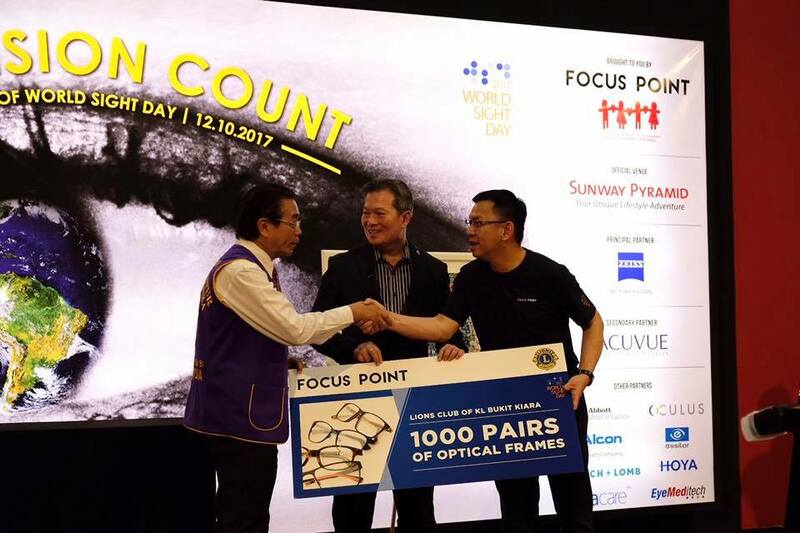 The leading vision care group, Focus Point has launched its World Sight Day 2017, a holistic CSR campaign aimed at advocating eye and vision care amidst the rising of vision impairment and eye problem incidences in the country. 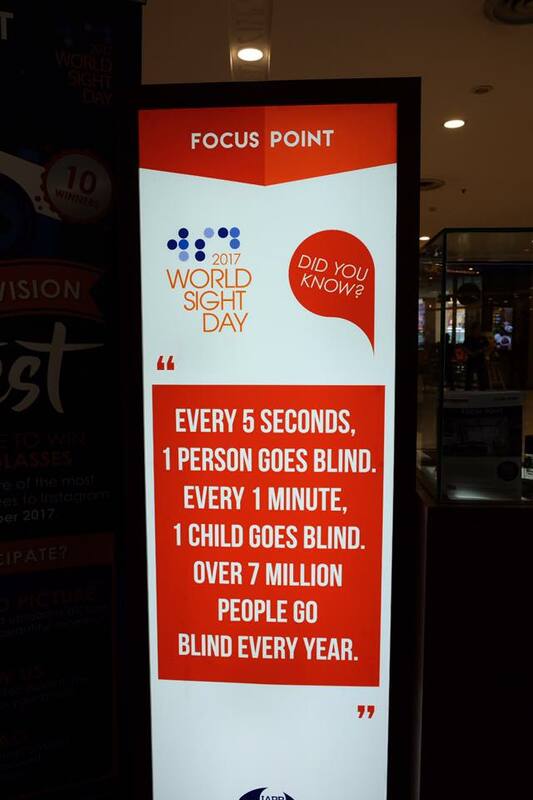 World Sight Day (WSD) is a global initiative to raise awareness on preventable blindness and visual impairment. It is estimated that approximately 285 million people worldwide live with low vision and blindness. Did you know 4 out of 5, world's blindness or vision impairment is actually preventable? 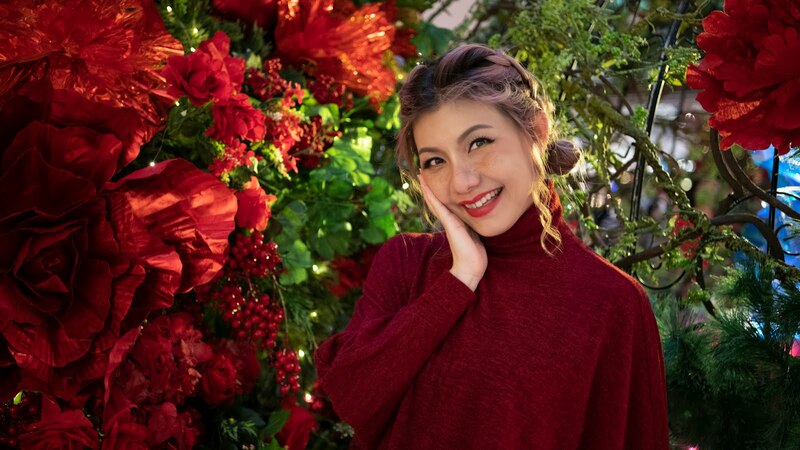 With early detection of eye problem, you can have it cured by treatment or surgery, or it can be easily solved by having a pair of prescription glasses. 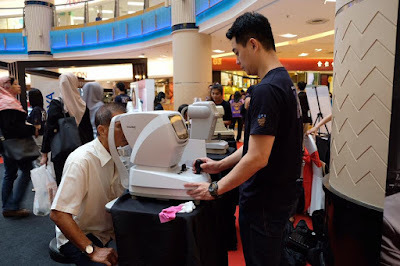 The Health Ministry's National Optometry Services Head Dr Nur Zahirah Husain also revealed, 54 out of every 1000 Malaysians suffer from low-vision impairment owning to health defects according to last year's media reports. 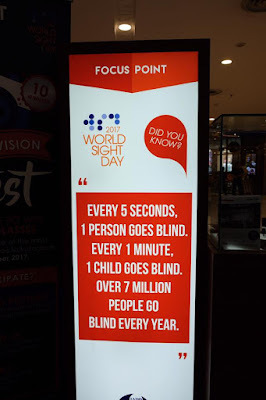 She added that an estimated 15,000 people nationwide suffer from low-vision impairment based on statistics obtained from the government hospitals. Among the factors causing low-vision impairment are diseases like glaucoma, diabetes, age-related degeneration, cataracts, retinal disease and uncorrected refractive error. The theme for this year 'Make Vision Count' carries the message that we can beat preventable blindness or vision impairment by providing the public with proper education and useful information. From ophthalmologists, optometrists, ophthalmic nurses, donors, patients, carers and even to the wider family, everyone play a role in vision care. 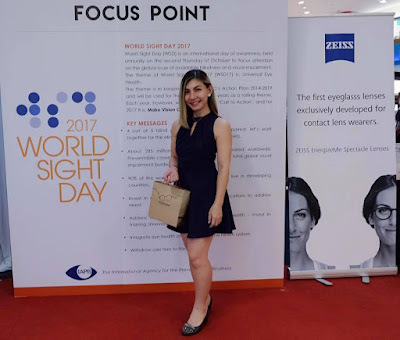 One of the global concerns is the rising trend of myopia (short-sightedness) which affects many school-aged children and fast becoming a major public health issue of our time. In 2010 alone, there are over 28% of the world populations were affected by Myopia. 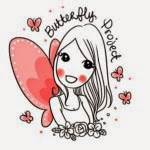 Sadly, this is expected to escalate to 34% by the year 2020 and near to 50% by the year 2050. Myopia starts early and is affecting children of school age, hence a child's ability to learn will be severely affected if they do not have clear vision. Many children with eye problems would not realize what they are seeing is not normal and the only way to find out is by having a vision screening or a proper eye examination at an early age. The rising trend of myopia is a worrying trend as high levels of myopia increases the risk of sight-threatening conditions such as Retinal detachment, Myopic Macular Degeneration, Cataract and Glaucoma in the later stage of life. 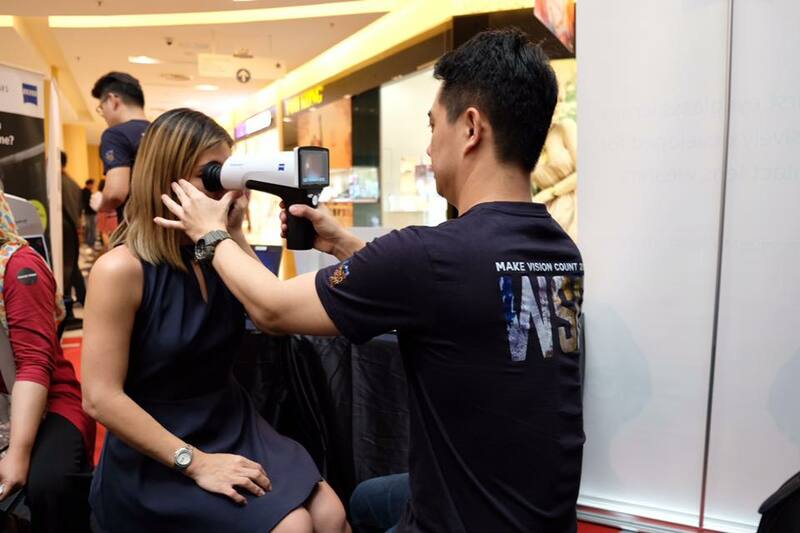 The Focus Point's World Sight Day event at Sunway Pyramid offers a kaleidoscopic range of holistic activities to encourage Malaysians to care for their eyes and vision. Dato' Garry Chua, President of MRCA, Mr. Ven Raman, Managing Director of Carl Zeiss Southeast Asia and Ms Gean Fong, Head of Creatif Academy of Art & Design were present to support the cause too. 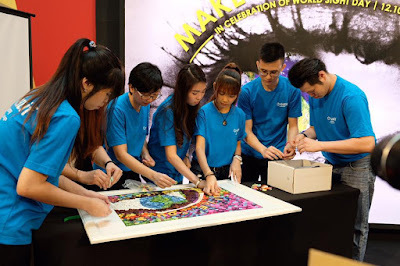 The Creatif Academy of Art & Design bring the theme 'Make Vision Count' to life by creating a 3D eye sculpture to depict the realities of eye care. There are also many exciting and interactive games as well as a 'Snap for Vision' photo contest were conducted to enable all to appreciate the gift of sight in a fun way. Focus Point also donated 1000 pairs of optical frames to the Lions Club of KL Bukit Kiara and contributed RM5,000 cash to the Malaysian Association for the Blind. 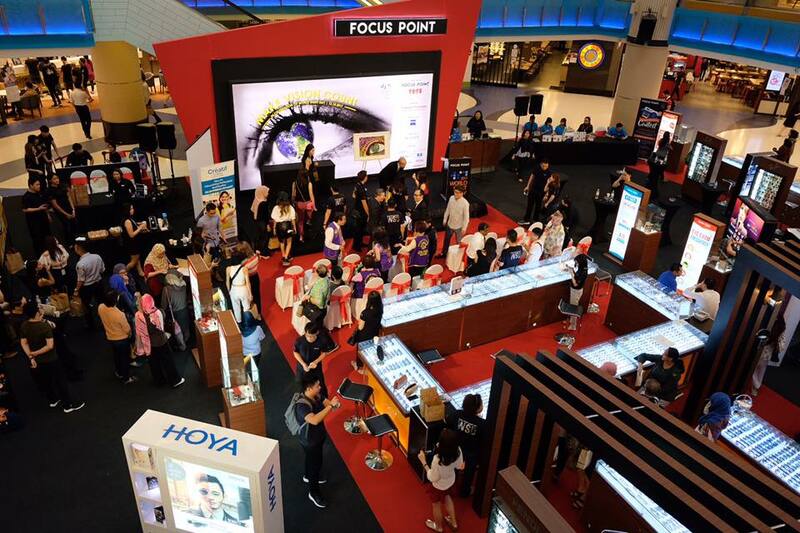 Member of the public don't miss out your chance to get your eye checks with the complimentary diagnostic eye check by Focus Point throughout the event. Dr Chin Pik Kee of Sunway Medical Centre and Dr Helen Tan Chen Chen from Centre of Sight will be sharing their eye care insights too. 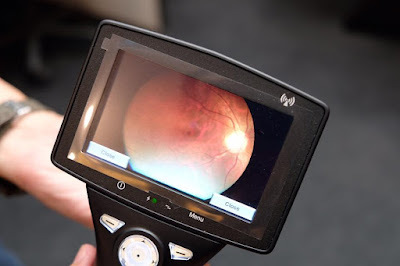 Visuscout 100 is a hand held non-dilated fundus camera to capture an image of the retina (nerve layer of the eye). It is useful in screening and detection of retinal abnormalities. 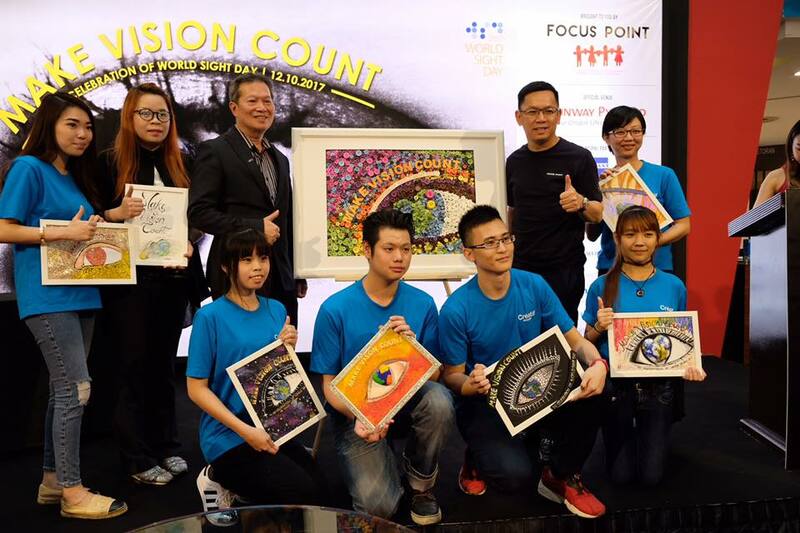 'Make Vision Count' with Focus Point! 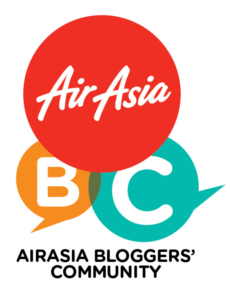 For more information, please visit www.focus-point.com or follow Focus Point's Facebook page.